Zespa Media works closely with creators and owners of international content and IP to identify and capitalise on opportunities for the rapidly evolving Chinese market. 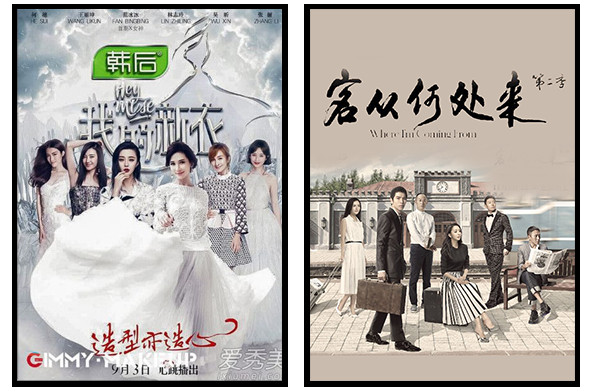 Zespa Media (UK) is the exclusive representative of Agatha Christie Ltd. in China in relation to TV and movie licensing, adaptation and production of all Agatha Christie properties. First local deal set to be announced in 2019. Other scripted formats in development include: Black Widows (DRG), In Treatment (Sheleg) and other leading TV and literature titles. Zespa Media has successfully brought a number of international prime-time entertainment formats to China, co-developed and co-produced localised programmes that became top-rated and award-winning hit shows in China. Formats including: Fashion Star(Electus), Who Do You Think You Are (Warner Bros), Bet on Your Baby (Electus), Clash of the Choirs (Endemol Shine Group). Zespa Media Limited has taken every care in the preparation and publication of content in this website. To the extent permitted by applicable law, Zespa Media Limited disclaim all warranties, express or implied, as to the accuracy of the information contained in any of the published material on this site. Zespa Media Limited shall not be liable to any person or organisation for any loss or damage, which may arise from the use of any information or material published on this site. Some hyperlinks contained in this site may lead to websites which are not under the control of Zespa Media Limited. Zespa Media Limited will accept no responsibility or liability in respect of the material on any website which is not under the control of Zespa Media Limited. Copyright in these pages is owned by Zespa Media Limited except where otherwise indicated by a third party’s own notice. Images, trademarks and brands are also protected by other intellectual property laws and may not be reproduced or appropriated in any way without written permission of their owners. Zespa Media Limited (company no. 7404454) is registered in England and Wales at: 71-75 Shelton Street, Covent Garden, WC2H 9JQ.